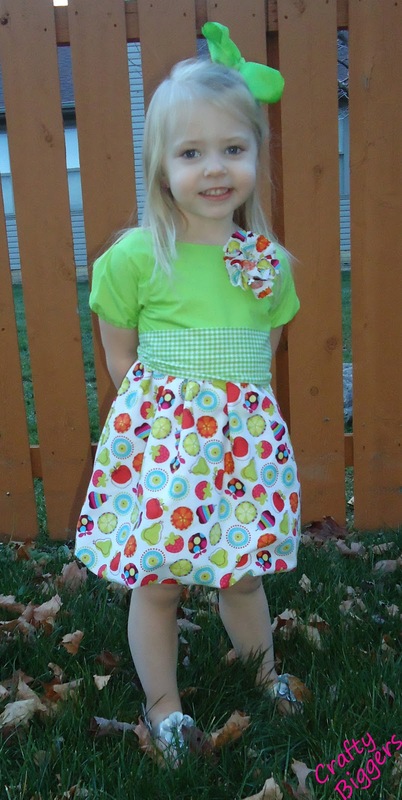 A while back I had the opportunity to review an adorable dress by Seamingly Smitten. She makes the most adorable patterns and I've had a few opportunities to review her patterns. This one is called the The Taylor Bubble / Party Dress and you can find it in her Etsy shop here. I've seen the bubble skirts and dresses in stores before but honestly I thought it would be difficult to make so I steered clear. Boy was I wrong. This dress was so easy to sew and I LOVE how it turned out. I'm a huge fan of bright colors and bold patterns. I think that the gingham and crazy fruit pattern go together perfectly. 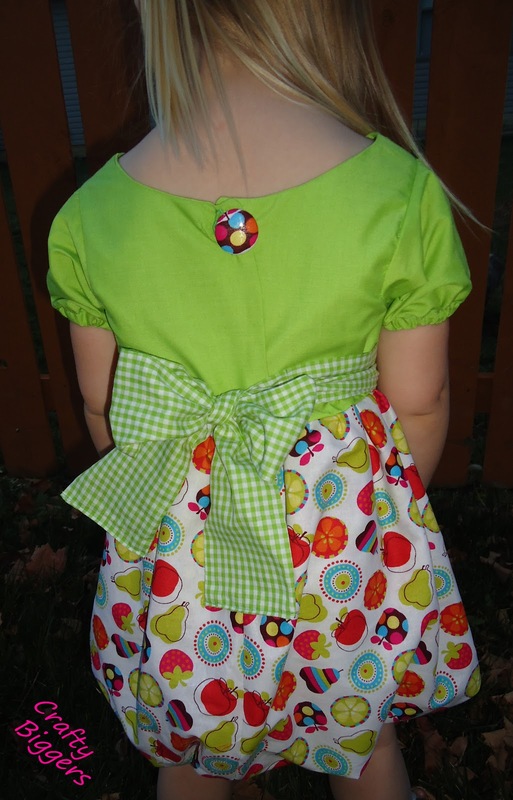 The back closes with a simple button and sweet little sash. After making this jacket here (also a Seamingly Smitten pattern) I have become obsessed with fabric covered buttons. I was originally intimidated by then then grabbed a kit at Walmart and realized how rediculously simple they are to use and they make for a more polished look. One more picture of this adorable dress. I made in at the end of fall but thankfully spring is just around the corner and this dress will be PERFECT! My girls live in sundresses and sandals. With outfits this cute who could blame them. 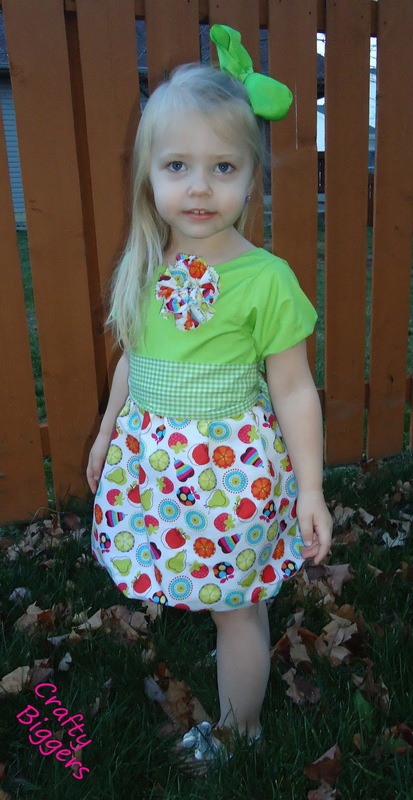 Have you started sewing up your spring/summer clothes for your little one? Do they have a signature warm weather style? You've been busy! What a beautiful dress and a beautiful model. I am impressed at how skillful you are at making clothes. She's adorable! Awesome job on her beautiful dress. such a pretty dress and adorable model.I wish I can sew. Thank you. Sewing is definitely trial and error but if you ever give it a shot it's very rewarding. I'm a big bubble dress fan. Very fun Spring dress!